The EU has approved the use of five plastic substances as food contact materials. A statement in the EU’s Official Journal said that a panel of scientists at the European Food Safety Authority has published "favourable scientific opinions" on the substances, and they should therefore, with stated restrictions, be placed on the EU’s list of authorised substances. the mixture of methyl-branched and linear C14-C18 alkanamides, derived from fatty acids. It concluded that the substance is not a safety concern for the consumer if used in the manufacture of polyolefin articles intended for contact with all foodstuffs other than fatty foods (as defined by simulant D2) and when its migration does not exceed 5mg/kg food. The amended regulations will come into force on 7 February. Earlier this month, MEPs rejected a motion for a total ban on bisphenol A (BPA) in FCMs. 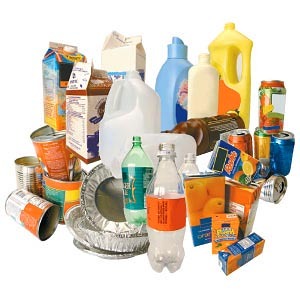 The Commission's draft amending Regulation, which proposes a tighter limit on the amount of BPA allowed to migrate from plastic FCMs, is set to be adopted in the next few months. The Regulation should then, according to the draft text, apply six months after entry into force.